The UK has long been plagued by cowboy builders, why? Because anyone who wants to be a builder, can be. No qualifications. No licensing. If you call yourself a builder, you’re a builder. Naturally, this puts a lot of homeowners at risk. Not only from unsafe building practises, but also financially. 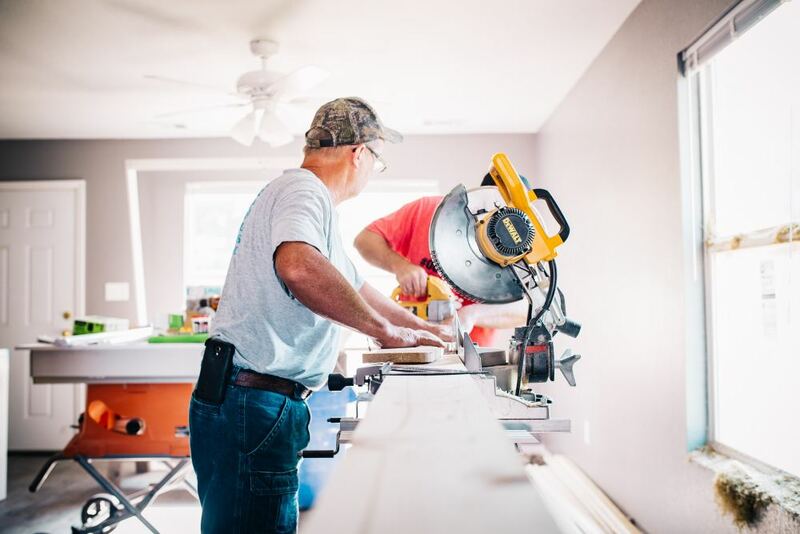 That’s why we’ve put together these tips to help you when it comes to picking a contractor for your project. Has your builder got FMB accreditation? The FMB, also known as The Federation of Master Builders, is an accreditation that builders can apply and get approved for. By having this, the builder has to, in theory, follow a set of conduct guidelines that help protect UK homeowners from poor practises. At Resi, we support the FMB and would encourage you to consider a professional who boasts this qualification. However, the FMB isn’t perfect. Contractors have to pay a fee in order to say they’re part of the federation. On the one hand, it’s an encouraging sign that a builder is willing to front this cost, but on the other, it does make the FMB a business. This means the FMB, in our opinion, doesn’t go far enough in the guidelines their builders have to follow, such as forcing their members to have the proper insurance in place to protect their client’s finances. In an ideal world, all professionals wishing to be hired as a contractor would have a qualification or license to do so, but until that day arrives, the FMB is the next best thing. Even if your contractor has an FMB accreditation, it's their references that are going to be the true test of character. If you want to protect yourself, make sure you go the extra mile and visit the properties your builder has worked on. If they’re unwilling to put you in contact with previous clients, we recommend staying far away. Only a fellow paying customer will give you an honest review of their work. Google the biggest construction disasters, and chances are you'll see the same thing popping up again and again - builders going bust. Why is this so common? Because even though a contractor declares bankruptcy, cowboy builders will simply change the name of their company and place another director at the helm, making it look like a brand new, debt-free practise. To make sure you don’t fall foul of these practises, it’s worth getting your project covered by Developer Insolvency Insurance. Ask the builder if they provide this, and if not, you can take it out yourself. Another option is pay your project on credit card. Under Section 75 of the Consumer Credit Act, your bank has to look into compensating your loss if a good or service is not delivered to you after payment. In order to qualify, you’ll need to pay more than £100 and less than £30,000. A good option for smaller construction projects. Setting up the right payment plan is one of the best things you can do for protecting your project. Remember: never pay upfront from a builder’s services. A good contractor will have the funds to upfront the costs of the project, and get that money back when work has been completed. Those who need payment upfront are at risk of going bust and should be avoided. Our recommended way of structuring pay is to find a builder who will fund the project, and then pay them based on evaluations. So you would give them a deposit to get started, then the contractor will work for an agreed amount of time, at which point you’ll get a contract administrator (typically your architect, though if you know your stuff, you could act as your own) to assess the work that has been done, and a payment will be released. This encourages your contractor to keep to a schedule, and provide work of a high standard. Another way to do it would be to get a JCT homeowners contract. These allow you to pay your contractor in stages, rather than big lump sums. However, the danger with this is tied to your own knowledge of the construction industry. Without a professional there to check the work, or to advise on timings, you might end up paying money at the wrong time and for work that’s not of a good quality. If you have the money to spare, one way to keep your whole build on time and within budget is to hire a Project Manager. However, having a Project Manager can be expensive, so you’ll have to work out if this is an expense you're willing to pay in order to give your construction security. Check out how to project manage your own build.